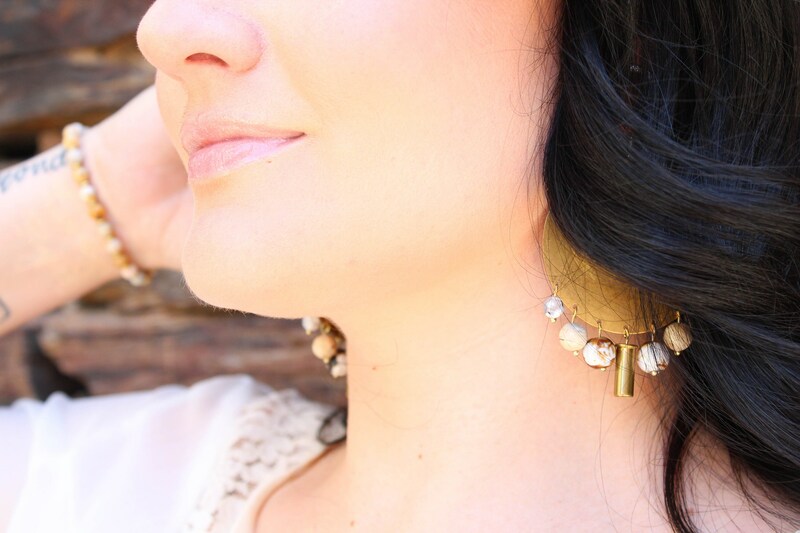 These weighted beauties are the statement piece you absolutely NEED at your next outting! You don't have have to be an Ayrshire to win best in show when you're out on the town in your Southern Best. 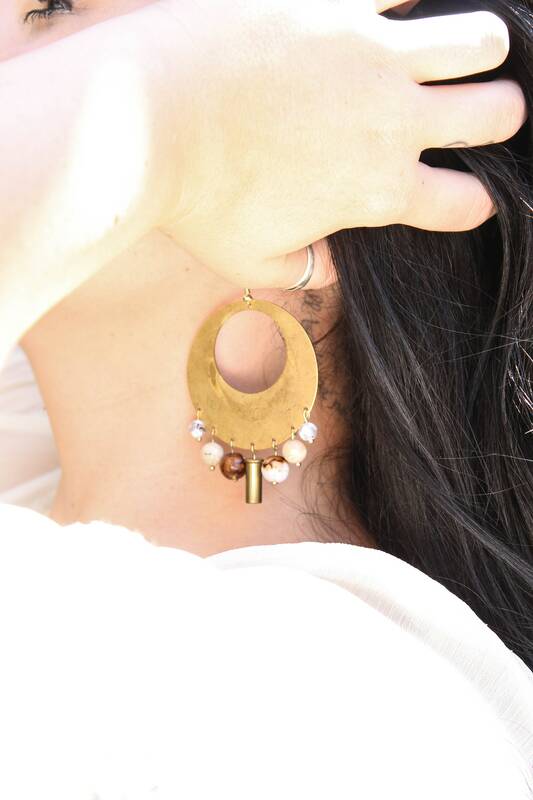 These hoops are made from hand formed brass rings, complimented by creamy beige and brown marbled beads featuring 22 Bullet casings. Their rich look can be styled through the seasons as the perfect Summer concert companions, or your dazzling date to all the holiday festivities. 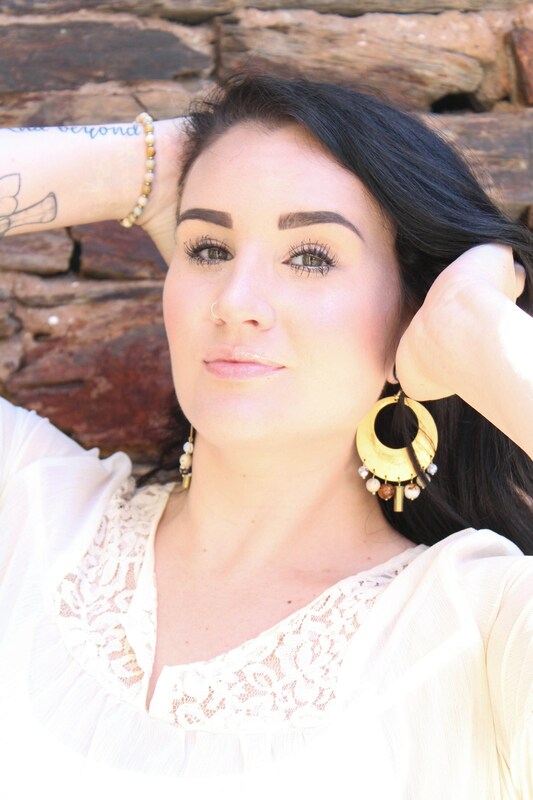 - These earrings are weighted for a comfortable, sturdy feel including clear silicon backs to hold them right in place. - Completely handmade, One-of-a-Kind leaving all eyes on you! - The 22 bullet is so subtle, only your real friends will recognize your inner 2nd amendment showing- making them 100% workplace friendly!